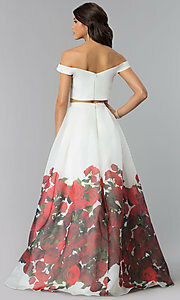 Unfortunately, the dress you are looking for (Style: BL-IN-445, Name: BL-IN-445) is no longer available. 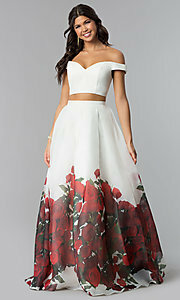 Intrigue by Blush off-the-shoulder long floral-print prom dress. Top 9", Bottom 48", Hollow to Hem 61"